Hydroponic Herb Gardens – How do they work? 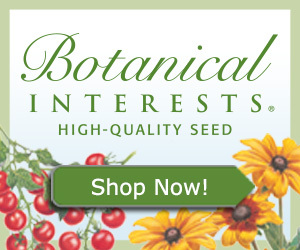 Looking for a gift for the gardener in your life? These seven gifts will help your loved one start growing – indoors and outdoors. From complete indoor herb garden kits to simple pots, there’s something for every gardener on our list. AeroGrow’s AeroGarden brings your herb garden indoors. With a growing light system and smart control panel, you can grow a wide range of herbs, salad greens, flowers and even vegetables. The kit also comes with a 3 oz. bottle of liquid plant food to ensure that your plants get all of the nutrients they need. AeroGrow’s growing process is different from conventional potted plants. The system is hydroponic, so there’s no soil involved. The unit uses 45 watts of LED lighting, which is tuned to the spectrum that helps plant reach maximum photosynthesis. Daylight white LEDs allow for fast growth. Blue LEDs allow for bigger yields. Red LEDs allow for more fruit and flowers. The included touchscreen control panel automatically adjusts the lighting and sends reminders for when to add water and nutrients. The AeroGarden herb kit is one of the best gifts for gardeners because you can grow all year round. For the sentimental, creative friend, Midwest Products’ stepping stone kit is a great gift idea. The kit allows you to create customized garden stepping stones. You can give the kit as a gift, or make the stones yourself and give those as a gift. Either way, this is a thoughtful present that will put a smile on your loved one’s face. Along with all of these materials, the kit also includes detailed instructions on how to mix and create your stones. Each stone is approximately 12″ x 12″ – the perfect size for a garden path. If you have children, this would make a great gift for grandparents. Radius Garden’s NRGSET toolset is one of the best gardening gift ideas for friends who are just getting started with gardening or need a new set of tools. The 4-piece set includes a weeder, trowel, cultivator, and transplanter. Each tool has an ergonomic handle that provides leverage and reduces stress on the wrists and hands. The handles are made from non-latex material. Radius Garden says their tools will last a lifetime, and they guarantee it. Ultra-lightweight and strong aluminum blades make these tools the ideal gift for gardeners. For gardeners who are short on space, Mr. Stacky’s 5-tier vertical garden makes a great gift. The design of this planter features a patented flow-through design, which saves on water. Just add water to the top pot, and the water will trickle down to the bottom planters. The planter itself is made from food-safe polypropylene. You can grow a number of plants in this vertical garden, including herbs, strawberries, and flowers. The set includes 5 stackers with 20 planting locations and one drip tray. With dimensions of 12″ x 12″ x 8,” this planter makes a great gift for gardening enthusiasts who are short on space. Ogima’s 10-piece hanging flower pots are colorful, easy to hang and make a great gift for those who love gardening. Designed to hang on a fence or balcony, these pots have no drainage holes at the bottom to keep everything clean. With dimensions of 3.94″ x 3.15″ x 3.94,” they’re the perfect size for herb plants. From basil to chives, thyme, and parsley, you can grow a wide range of herbs in these planters. The pots come in a wide range of colors, including green, pink, blue, purple, white, gray, orange and red. If you have a loved one who wants to brighten up their garden, these colorful pots are a great option. They’re just the right size for small herb plants, and they can be hung just about anywhere. For those who love to grow microgreens and start seeds inside the home, the Double Veg Ledge window shelf makes a great gift. Because they suction cup to the window, you can buy multiple ledges to hang on the window and grow multiple plants. If you’re worried about the shelf falling, don’t be. The window shelf has a weight-bearing design and powerful suction cups. Each shelf can hold up to ten pounds – enough weight for a medium-sized plant. For gardeners who want to bring their favorite plants indoors, these shelves are a great option. These charming pots come with real slate markers, fiber soil and germination bags. The germination bags provide the ideal environment for encouraging seed growth. The kit comes with three packs of seeds: basil, sage, and chives. All seeds are 100% non-GMO. This trio herb pot kit is ideal for gardening friends who love the rustic look. 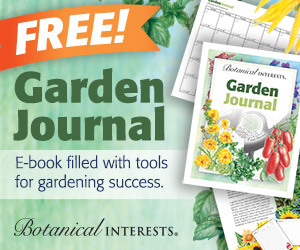 The gardener in your life will appreciate any of the gifts on our list. Hobby-related gifts are always more thoughtful than generic gifts, so give a gift from the heart this year. Last updated by Virginia Dodd at February 12, 2019 .